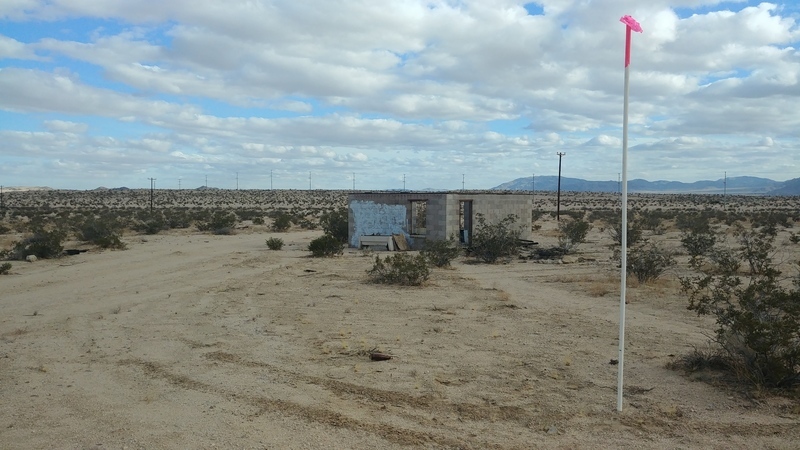 This 5 Acres is 7.3 miles northwest from the heart of Twentynine Palms, CA and 12.5 miles from the north entrance to Joshua Tree National Park. 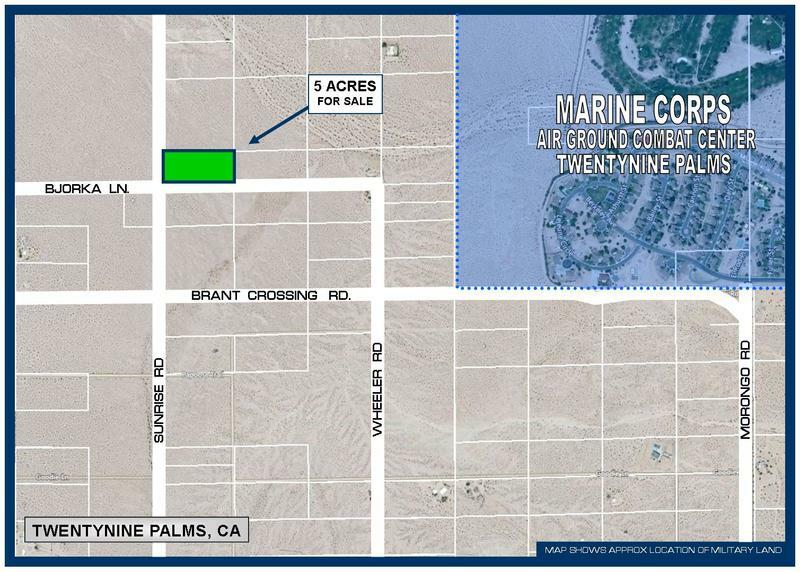 The property sits .9 miles from the Morongo Rd entrance to the Marine Corps Air Ground Combat Center and 970 feet north of Brant Crossing Rd in San Bernardino County. 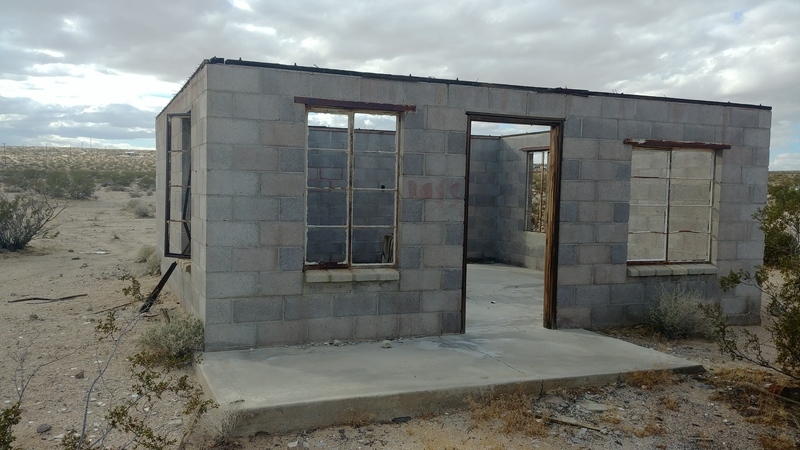 This flat 5 acre property lies within a rural area with only a few homes, however, electricity runs along the southern boundary. 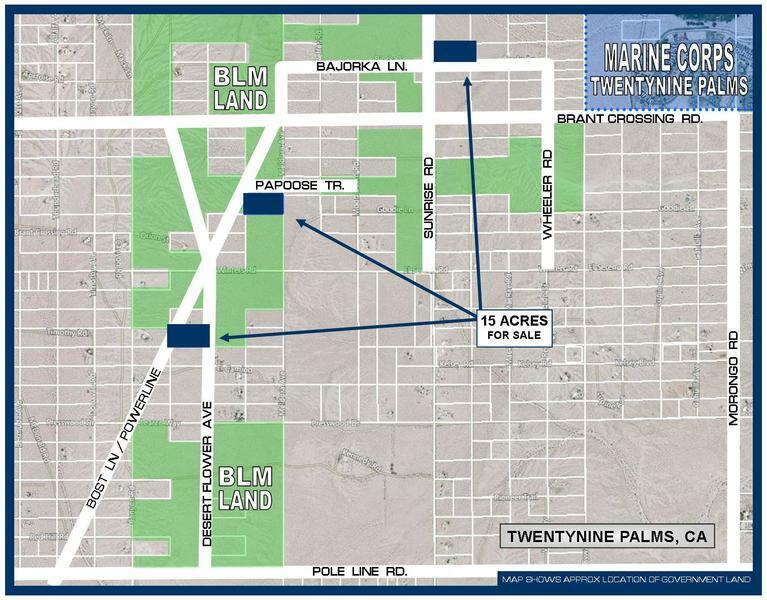 The property sits outside of the city boundaries of Twentynine Palms. This property along with two others are also available for sale by the same owner. The properties can be sold together of separately. 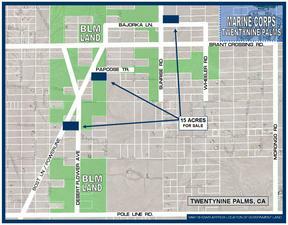 Directions: from Morongo Rd. 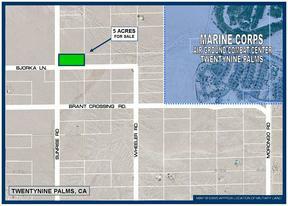 turn left onto Brant Crossing Rd (right before the entrance to the Marine Base) and go .63 miles, turn right onto Wheeler Rd. 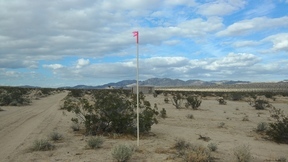 and go 977 feet, turn left and go 1320 feet to the SE corner. Sign on property, approx property corners are marked with 10 foot while PVC poles with pink tape.